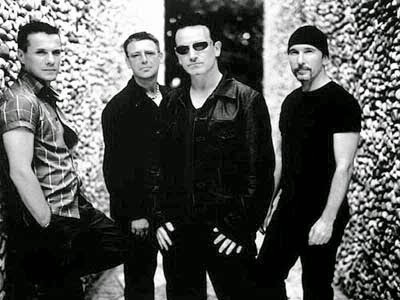 Bono, The Edge, Adam, and Larry must cross a narrow darkened bridge in order to reach the stage where they are due to play in 17 minutes. Unfortunately they only have one torch between them which must be used to cross the bridge safely and may not be thrown, only carried across the bridge. The bridge will hold up to two band members at any time. Each member crosses at their own pace and two members must go at the slower members pace. Bono can cross in one minute, The Edge in two, Adam in five, and Larry in ten. How do they make it in time?